Hi all, how time flies. It’s almost the end of 2018 already and it’s WORLDFLIGHT week! 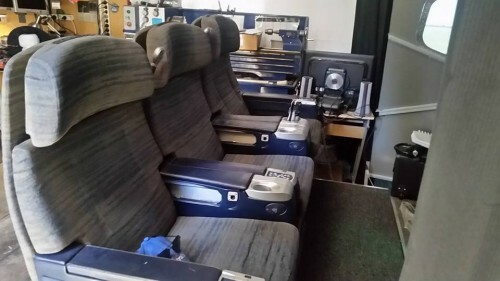 The Worldflight Perth teams will be flying our 737-800NG and 747-400 simulators around the world raising funds for the Royal Flying Doctor Service of Australia. Please visit Worldflight Perth if you can help out in any way, it would be most appreciated! It’s been a while since the last update and it’s been a very busy time in the Aerosim workshop. So much so that the website has become a little neglected, my apologies for that! I removed the contact page earlier for two reasons, one was the huge backlog of orders that I had to catch up with. The other reason that answering queries from the website and emails was beginning to take up some significant time. I haven’t been able to participate as much as I’d like to at MyCockpit.org and Cockpitbuilders.com but I do check in a few times a week to keep an eye on the forums. My current project is another fully motorized Aerosim Solutions TQ the same as the one in my own 737 sim, this is for Gordon in Queensland who has been waiting patiently for some time now but the project is nearing completion at last! TQ’s take a long time to build and they are not something I normally offer. The price has to be AUD$6000 per unit to make them anywhere near worthwhile, as I work alone and only part time. I much prefer to take on smaller orders such as panels and custom order parts. When the 737 TQ is finished I plan to re install the contact page and start taking orders again. On July 1st 2017, I will be open for taking orders again. Due to the current backlog of orders and other urgent family issues, I am forced to cease trading effective immediately. The contact form has been removed. Please accept my apologies for any inconvenience caused. Aerosim Solutions will recommence trading when circumstances permit!! Announcing the departure of my associate in Brisbane who has parted with Aerosim Solutions to develop his own line of helicopter sim parts, good luck GT I’m sure you will do well with a sought after product line! This will leave a gap in my production for a while so some products on my list have been temporarily withdrawn. I should know by the end of February if my proposal to a new manufacturing partner has been accepted or not – stay tuned!! My 737-800NG simulator flies again with the upgrade to Prepar3D version 3.1 and the new surround projection system! 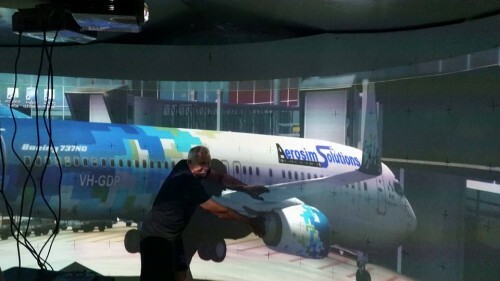 The Aerosim Solutions workshop expansion project is progressing well. 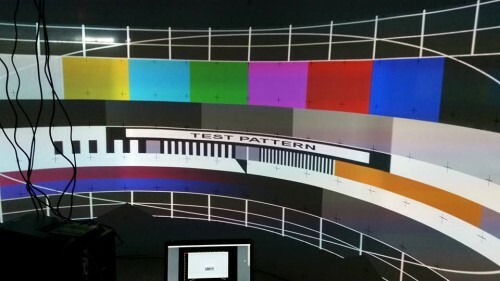 Our 737 simulator will soon have a new home with the three projector visual system installed. This will free up some much needed space in the workshop to house a bigger CNC machine. Please accept my apologies for any delays in replying to emails during this busy time but we should be back to business as usual on the 1st of February. Best wishes to all cockpit builders and your families wherever you are throughout the holiday season! 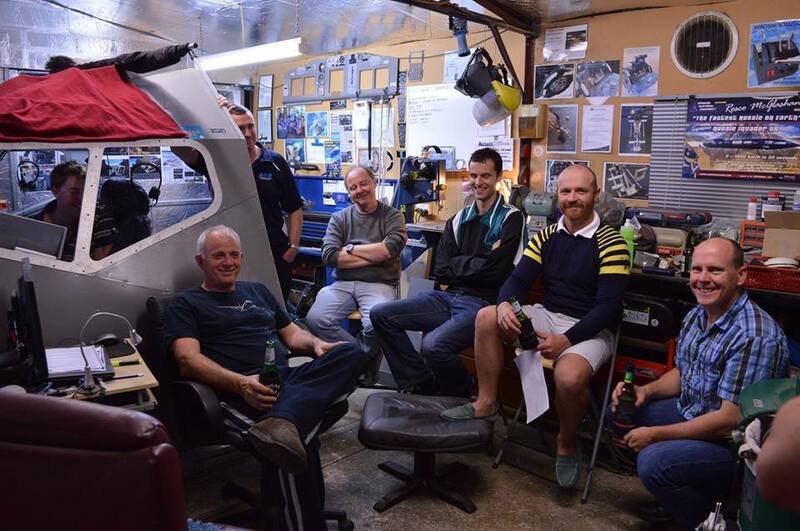 Aerosim work was put on hold for the first week of November due to the annual Worldflight fundraising event. Our team of nine pilots fly the Aerosim Solutions B737-800NG simulator alongside our local brothers from “Brown town” in their B747-400 sim owned by Greg Hateley. Together we raised AUD$8,952.80 for the Royal Flying Doctor Service here in Australia! It was a fantastic week with the dedicated crews putting in an enormous effort to keep the two sims flying on their 45 leg journeys around the globe in real time. I think we all now have a case of the Worldflight blues as we are not gathering on Monday nights for the usual training, fun and games in the sim. On the first of February we will start again on the 2016 Worldflight quest. Many thanks indeed to my 737 team for your great work and friendship this year – Jason Beringer, Ken Brand, Luke Bruce-Smith, Kirk Christie, Josh Cliff, Thomas Dellenback, Giles Hacon, Bill Smith and Damien Parker. 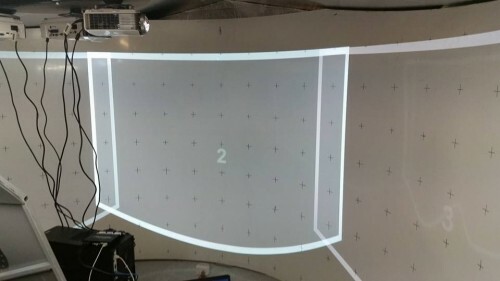 The next big task for the crew will be assisting with the extension to our workshop which will house the new 200 degree surround screen and projection system. 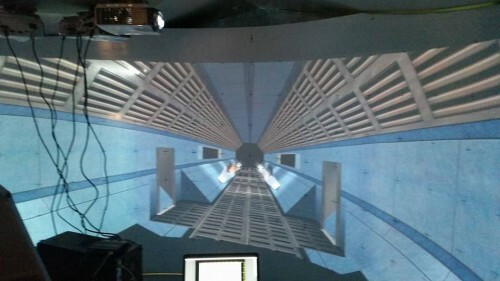 “Velocity 738” will take a giant leap towards completion with full surround visuals finally installed! 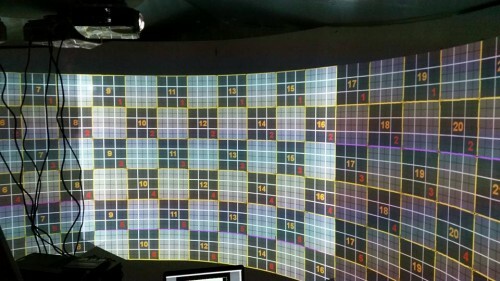 Aerosim Solutions has been chosen as the provider of mechanical support for the Flightdeck Solutions B777 simulator at our local GA airport at Jandakot, (YPJT). Great to see the FlightCity777 simulator open to the public again after a recent change of ownership. The second motorized Boeing 737 throttle quadrant is slowly coming together with a few improvements including a new clutch design. This TQ is a special commission for my friend and it is not going to be offered for sale as a product unfortunately. Because of this I have decided to share it’s construction secrets and will post many pictures during the build! The CAD drawings will not be shared but I will post details of the build in the “Current projects” tab. I am quite often asked why there is no shopping cart on my site, the short answer is that Aerosim Solutions is not a shop front! We are suppliers of custom components and these are only available by request via the contact link. I want your transaction to be a personalized experience and not just an interface session with a robot. I will always attempt to make the swiftest response to requests during normal business hours. Aerosim Solutions is still a part time business and I still have to choose carefully which commissions to take on. There are no shelves filled with parts waiting to ship out. I negotiate commissions with customers on a one on one basis and each job takes time before I can contemplate taking on the next one. Lead times maybe long so I ask for your patience, the highest quality is worth the wait! At the moment I have orders that will easily take up until April next year and I am still trying to complete my own 737NG simulator! 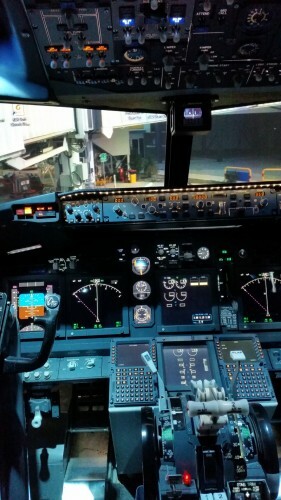 The 737 simulator is starting to become well known in Perth, it is by far the best 737 sim in our city. Some local pilots have been coming around to use it for practice before their routine airline sim checks. Congratulations to Captain “Ben” who just passed his Virgin Australia entrance sim check ride. The simulator is not operated commercially but the Royal Flying Doctors benefit from any donations via the Worldflight event.